Whether you are already “working” as a volunteer director in a not-for-profit organization (NPO) or have just joined the Board of Directors – congratulations! 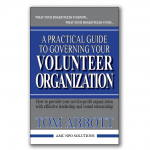 You are one of the many hundreds of thousands of people who step forward each year to help organizations on a volunteer basis. Thanks to your dedication and hard work, your members, stakeholders, and communities enjoy improved benefits, opportunities, and services. In the case of organizations that do charitable work volunteers have created a society that is more caring and committed to helping those in need – in this country and around the world. 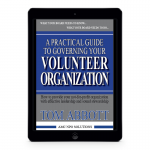 The purpose of A Practical Guide to Governing Your Volunteer Organization is to provide a short, self-contained guide for NPO success – a book of significant value to volunteer directors who serve on the organization’s board. It will also be of benefit to the chief executive officer (CEO) and staff members of the NPO. 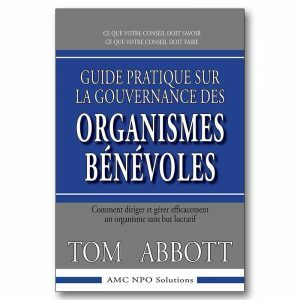 The book is intended to be useful to a wide spectrum of NPOs. 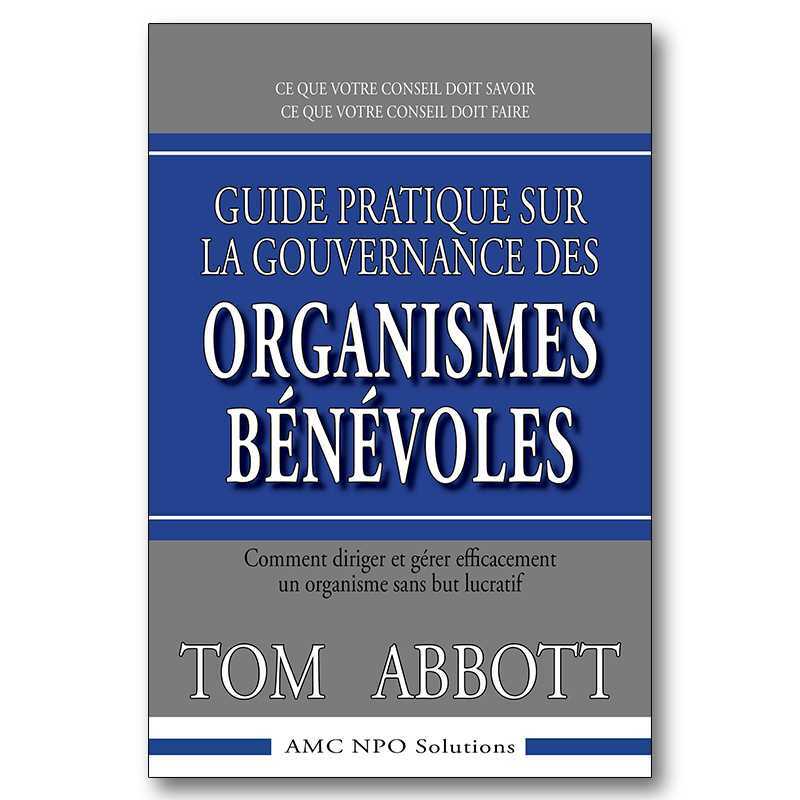 In particular it is addressed to directors of small to mid-sized organizations, including associations, charities, and public sector groups. The material dealing with planning, governance, board training, and monitoring will also be of benefit to larger NPOs.